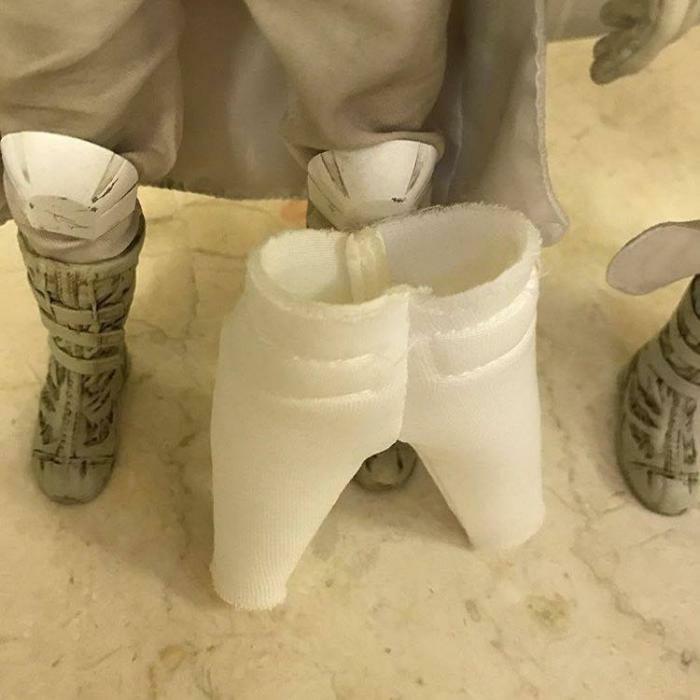 A buddy of mine, Simon Demonik who is an avid collector of anything Star Wars shared this useful tip for modifying the Hot Toys Snow Troopers to give them a more natural looking trouser fit. I thought it was a really cool mod and wanted to share it, so with his permission, here are the details! The Snow Trooper on the left has been modified, the one on the right is still in its original state. You can see the difference immediately and it's quite stark. 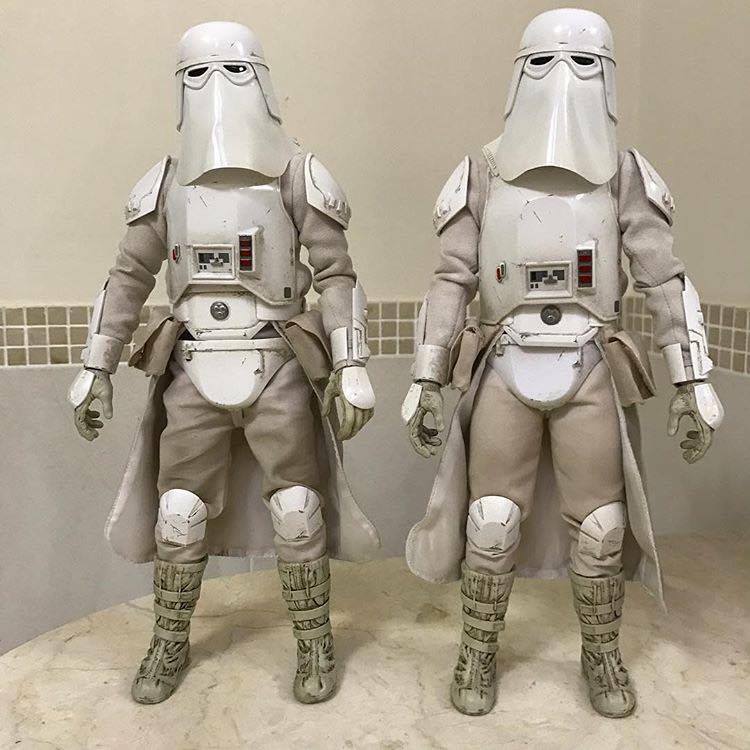 Okay Hot Toys fans, I've fixed the biggest issue with the Hot Toys Snow Troopers. As expected the reason for the stretched pants around the thigh area was indeed a fat suit. Removing it is child's play 👌👌👌. I left the rubber around the calves so the boots still fit well. Simply reverse procedure to re-dress him. Easiest mod in the world and really pushes this figure to the next level of realism. Also note that by attaching the cod piece back a little looser you can have the pants sit a little lower and give a more realistic looking pants dangle in the crotch area. Last tip - I find feet are easier to reattach if you bend the knee 90 degrees and grip both parts firmly. The removed fat suit is substantial and a fairly firm elasticised nylon material, maybe a 1/5 inch thick.